September | 2014 | Why Be Tonto? 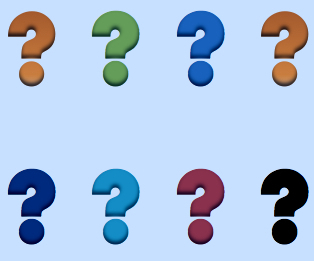 Questions, questions, questions. But those who have in-depth marketing knowledge from listening to the target audience are often immune to not knowing. Let’s take the game show route. Start thinking in a Jeopardy sort way. But in reverse. You’d be surprised at some of the responses at a recent seminar. Some were War and Peace in length, only slightly abridged and minus a plot. You need a sabbatical after enduring a long-winded explanation like that. Other answers were half-baked and tinpot ideas. They were enough to put you in mind of a fifth grade teacher who writes ‘Must try harder’ on a D-student’s report card. One bright spark stood up proudly and said ‘marketing is marketing your product across all channels including Facebook’. Had you been there, you would have had to sit tight as another 76 or so words followed. Some of the words had more than four syllables. In our office, marketing is defined in four words. That straightforwardness should lead to more organized minds, better focus and messaging that can extend attention spans. More to ‘organized minds’, many now agree we all need to avoid one disorganized thought about content today. But do people really give a fig about brands? They’re not living just to connect with products on Facebook, are they? No way they are, says the intern who comes into our office two days a week. You have to work hard to earn market attention. To ensure people choose you takes focus. And skill. The kind of skill that sees marketers and agency people open to lifelong learning and keen to listen to the target audience. Surprisingly some marketers and agency staff aren’t great listeners. Too many fall down in this area and operate with assumed knowledge and opinions. Opinions … what are they in a constantly changing marketplace but iffy thinking without data. With that said, let’s double back to the thought on ‘skill’. If the answer is ‘What is skill?, what’s the question? The opposite of half-baked, tinpot ideas. And four-syllable words. The WWII American Bomber Called ‘Yo-Yo’. ‘Nose art’ on American bombers. It’s how pilots stated their own identity and promoted individualism. Hmm … sounds a bit like what we do in branding, doesn’t it? 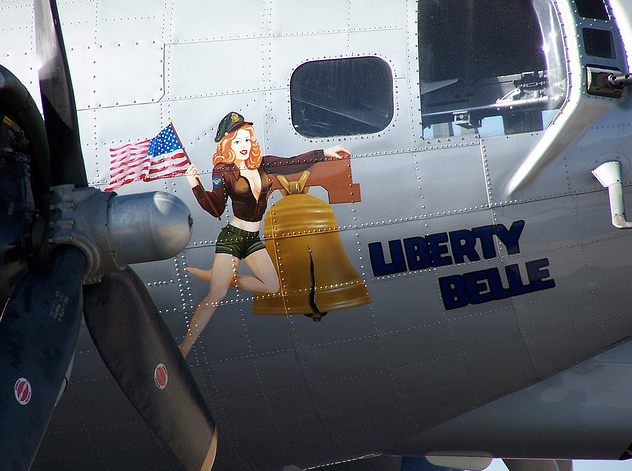 They’re names of American WWII bombers that appeared as ‘nose art’ on B-17s, B-24s and B-29s. Airborne individualism is what you might call it. Art rendered on metal rather than canvass. Each pilot arriving in England had the opportunity to choose a name and a graphic design for his plane. It helped raise the spirit of aircrews in a role that was one of the riskiest of the war. Riskier maybe than gutting it out in a foxhole under heavy shelling. As many as 60 bombers in a mission went down to attacking German Messerschmitts and flak towers bristling with 88-millimeter anti-aircraft guns. 60 Bombers could equate to 600 men killed. You can’t miss the fact that ‘nose art’ communicates as a storytelling element. For some planes it reflected a pilot’s background, for others it mirrored a pilot’s disposition, desires, hopes, fears or attitude to the enemy. You might say that’s prophetic as Hitler used cyanide to kill himself. If only ‘Cyanide for Hitler’ had gotten to him early in the war. Like in the dark days of 1940. Now … ‘Da Poiple Boid’? You pronounce it and it becomes The Purple Bird. Here you get the full brunt of a New York accent from a crew from Brooklyn, Queens, the Bronx, Staten Island and Long Island. When you think of it, these names are examples of branding. They’re differentiators and they’re meant to engage and communicate a message. Still, as brands they don’t go far enough … save possibly for ‘Cyanide for Hitler’. Because they tell you what the plane is, not what it can do for you. In branding terms you get the features, not the benefits. Isn’t that the bomber you’d choose if Messerschmitts were on you tail? Here’s a thought on your own efforts as per ‘nose art’. Next time you review new content from your agency, take ‘Yo-Yo’ as your guide. Ensure your messaging can engage people by going from features to benefits. That way your focus is in the right place … on the pain points and opportunities for your customers and prospects. After all, the ‘features-features-features’ message doesn’t exactly make you the smartest choice in your category. So to be better able to compete, ensure your content is strong on product advantages. That way you’re more likely to stop people and lengthen their attention spans. Anything less and you could end up like the pilot of ‘Da Poiple Boid’. Merely telling people what your product is … not what it can do for them. You’re Forced To . . . . Wait. You click to learn more about the IPO for Alibaba, the Chinese Internet phenomenon bigger than Amazon and ebay combined. Its value is predicted to be $187 billion. But you have to wait. You click to get the latest on the Scots. The people who gave us radar, television, telephones, golf, Penicillin, Billy Connolly and more … will they vote on September 18th to make Scotland a separate country? Again, you have to wait. 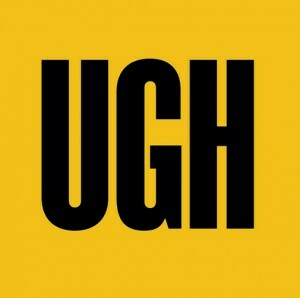 You click to see a ‘best of’ Joan Rivers clip everyone at work is raving about. Once again, you have to wait. In each case you encounter online commercials. That’s the reaction of my Millennial neighbor. She has all the subtlety and tact of the Gestapo in wanting to know if it’s me who’s responsible for creating online ads that irritate the bejesus out of her. She says boring commercials on YouTube and Hulu Plus are a disruption. They lower the value of those sites. She’s not wide of the mark on that. So how can this be the case in the digital age? Are we suddenly back in the bad old days of command-control advertising? Few would wish online commercials were a millisecond longer, even when you can end them after five seconds. If you’re going to interrupt people it might be an idea to do it in a way that gives them something for their time. Charm, wit, a fresh point of view, facts that people don’t know… give them something. At a recent conference you couldn’t fail to notice marketers these days have limitless enthusiasm. It’s palpable. Limitless enthusiasm … but many have little experience in knowing how to use it to engage people, lengthen attention spans and create the moment someone buys. They’re lacking the kind of strategic approach you might find in a horse whisperer. After all, the right temperament and the right words can make all the difference. How do you gain that? For starters, here’s one thing ad agencies know that some marketers may not. According to the Hollywood Reporter, there’s an upturn in the number of films produced these days. Have you noticed? The reason is digital technology. It lets people create their own productions at a lower cost. Those in the indie film world have never had it better. Even amateurs — high school kids — turn out terrific films, videos and their own spec commercials. No doubt you’ve seen some on YouTube. A new communication literacy is fueled by everyone with a smart phone. We’re all directors and producers now. It’s one reason why we’re more critical than ever. The appeal of commercials online has a lot of catching up to do. You might want to work closer with your ad agency on this. Give them the power and encouragement to create something as witty, amusing and surprising as an 11th grader might produce. That way you’ll have a better chance with those who really count. You Can Tattoo Your Eyebrows On. But How Do You Make Your Customers’ Smiles Permanent? Anyone needing more stress in their life should go to an ordinary gas station. There you can to try to get your tire pressures right in the miserly time allotted. But at Sheetz this machine makes all the difference. It’s simple, helpful and free. Sheetz should have branded it with their name. You won’t see me at any other gas station but yours. I’m not about to be tempted to wander on to anyone else’s forecourt when I’m in North Carolina. Your free air service did it for me. It put a permanent smile on my face. What a difference it makes, and not just for the fact there’s no cost. It’s clear the people at Sheetz know what a pain it is try to get your tire pressures right at an ordinary gas station. Anyone in need of more stress in their life should try to fill their tires in the allotted time. 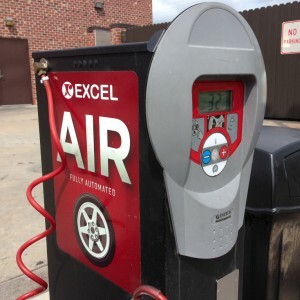 Before you can get all four of your tire pressures right your money runs out and the air compressor stops dead. A brilliant way to piss off a customer. You wouldn’t be off the mark to call it CRM in reverse. You can’t use a credit card to re-activate the machine so you traipse across the forecourt into the store to get more quarters. At times it’s a trial to get change. Especially when you have to stand behind a family of Ohio tourists wanting directions to North Carolina’s Outer Banks. They’re heading to Nag’s Head where the Wright Brothers first flew in 1903 and the discussion expands to the wonder of that 12-second flight that lasted 120 feet. Alternatively, at a Sheetz Gas Station, the long-winded Orville and Wilbur thing doesn’t hold up the works. Their machine is digital, simple, accurate, easy to use and fast. Oh yes, and it’s free. 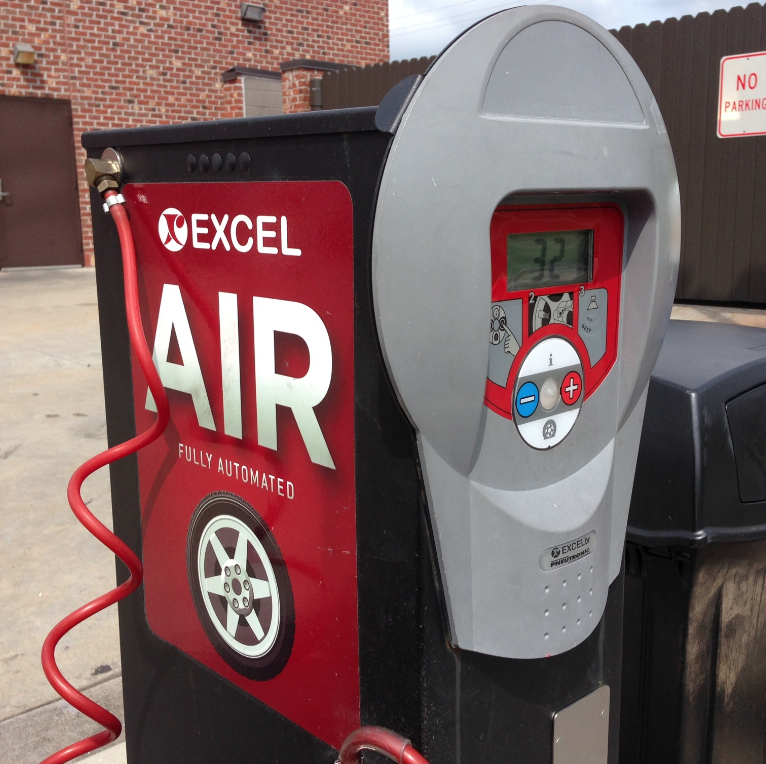 Well, the air around us is free, why shouldn’t the stuff that inflates your tires be the same? I’m betting focus groups of men and women 18-51, across all ethnicities with a median income of $54,650 would agree with me on that. At Sheetz you set the machine to the desired pressure, attach the hose and as they say in Australia, ‘Robert’s Your Relative’. Forget the old ‘Bob’s Your Uncle’ expression as it’s far too pedestrian for such a great upgrade. No doubt the cops will be pleased with the Sheetz alternative. A new ease, speed and accuracy should result in more drivers overcoming laziness to get their tires right. In a world where you need something like 32-35PSI, hopefully fewer people will be hammering around with 22PSI in one front tire and 19PSI in the other. With proper inflation you’re bound to get more predictable automotive handling and maybe fewer accidents. Especially in the wet. Your tires will wear better, as well. Safety, security, accuracy, ease and longer tire life … that’s what’s on offer at Sheetz. And the iced-coffee isn’t bad, either. As you can tell, I’m over the moon with Sheetz. I’m wearing an indelible smile. Especially since the temperature is 96 today. Phew! a stinker of an afternoon to be correcting tire pressures while a miserly air compressor forces you to run around your car like a blue-arsed fly. But at Sheetz, with all four tires inflated to manufacturer specifications I get back into an air-conditioned car and think about one thing. Pull in here for air and ‘Robert’s Your Relative‘. Nine Short Videos You Won’t Want To Miss. Col. Tom Parker managed Elvis and was famous for being able to sell anything. 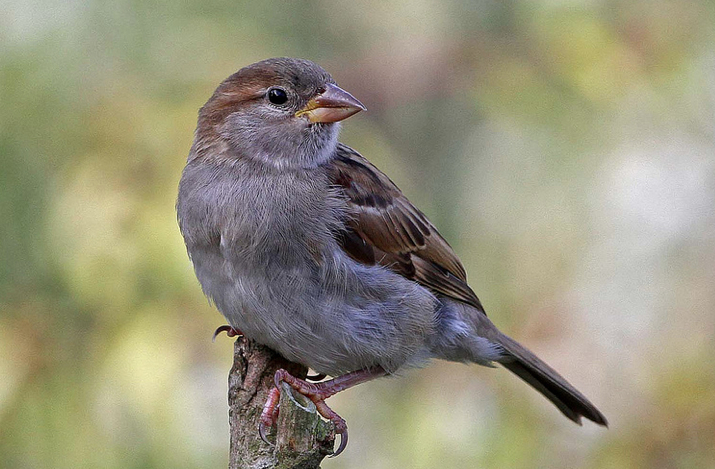 It’s said he caught sparrows like this one, painted them yellow and sold them as canaries. Photo courtesy of Margaret the Novice. This piece is about The King, Mr. King and improving your videos. The King is Elvis. 37 Years after his death nothing’s changed about his royalty. In fact, 600,000 people each year make the pilgrimage to Graceland to experience the wonder of the mansion and the life that was lived within. Take the Graceland tour and you learn more than a few fascinating facts. Elvis was turned down flat in 1954, when he auditioned for a gospel quartet, The Songfellows. His manager was Col. Tom Parker, a personality famous for being able to sell anything. If Graceland gets a lot of visitors, double that number head to Indianola, Mississippi to see a museum dedicated to Mr. King. That’s the bluesman, BB King. The BB King Museum is all about music and the rich cultural life of the Mississippi Delta. They background BB King’s life as a sharecropper, tractor driver and guitar player who fronted gigs like a 16th birthday party for a dirt farmer’s daughter. These videos give you a first-hand view of race relations and social history in the Deep South. With that they’re an involving experience of a different world that’s not immediately recognizable to us here today. You get a moving take on the birth of the Blues from those who were there. You have the story of how BB King made his first ‘guitar’ with a single piece of wire used to bind straw into a broom. Equally, you’ll hear an engaging rendition of a blues number, ‘If I Was A Catfish’. It all comes across with humor and storytelling know-how we can learn from. These clips are a reminder that engaging ideas and an unexpected narrative can make your videos better. The scripting represents the difference between ‘one-way communication’ and a presentation that’s involving. It’s the opposite of ’empty noise’ when it comes to emotion. Importantly, nine videos will hopefully stop you trying to pack all the information you have into one extended video. That merely betrays the fact you’ve been charged to load in everything you can. Here, with ‘nine chapters’ of around two minutes each, you’re more likely to ask yourself, ‘what’s next?’ and eagerly move on to a new spot. There’s discovery at each turn. Admittedly, the subject matter and BB King’s personality are magnetic. You could listen to him all day. So yes, it’s tough to make a CEOs speech, your factory tour or product information stack up to the bluesman. But why should that stop you. It just takes smarter scripting to showcase your story so it’s not viewed as an intrusion. Nobody needs a fidgety audience, right? To get people to engage with you, start by ensuring your agency’s brightest creative people are on the case. Go further than the givens of category thinking. Avoid corpspeak and the kind of thinking your competitors’ use. Direct your energies to developing engaging visuals that demonstrate and enlarge your point of view — after all, this is a kinetic medium. Inject charm, wit and a level of storytelling that erases all that’s drab, wearisome and inert. Be the prize catfish in your category with better videos. Get all those customers and prospects fishin’ after you.